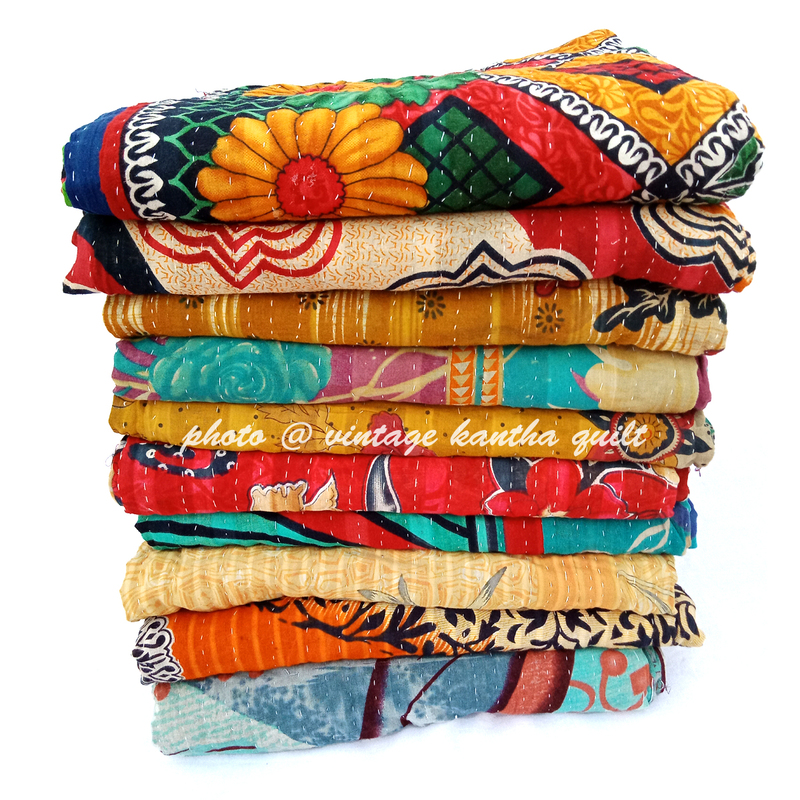 VKQLOT-0002 : Find an enviable collection of kantha Quilts by Harim – Our artisan from West Bengal. Quilts which can be laid, draped, and folded in effortlessly cool ways around their equally enviable homes. 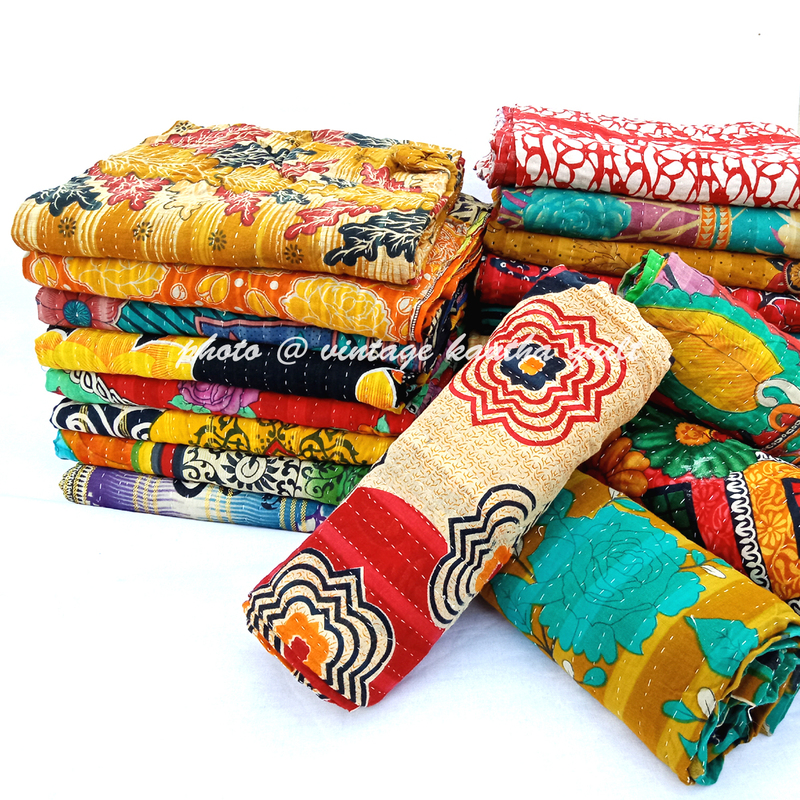 Kindly note – you will receive assorted quilts on buying this lot. Photo is just for reference. 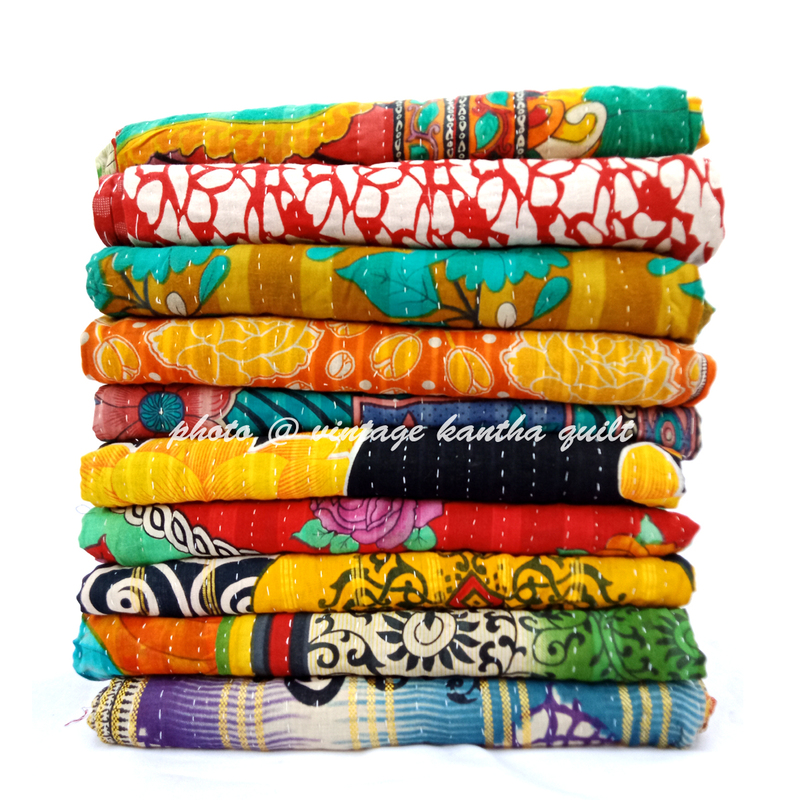 Please let us know in advance if you want to make selection of quilts on your own. Once payment is received, we ship your order within 48 hours. Tracking information will be sent to you shortly after your order is processed, and we will make sure to monitor the status of your shipment. Kindly note ? 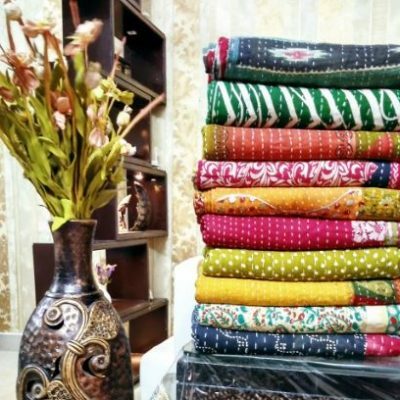 Custom duties and taxes levied are buyer's responsibility.We also provide expedite shipping. 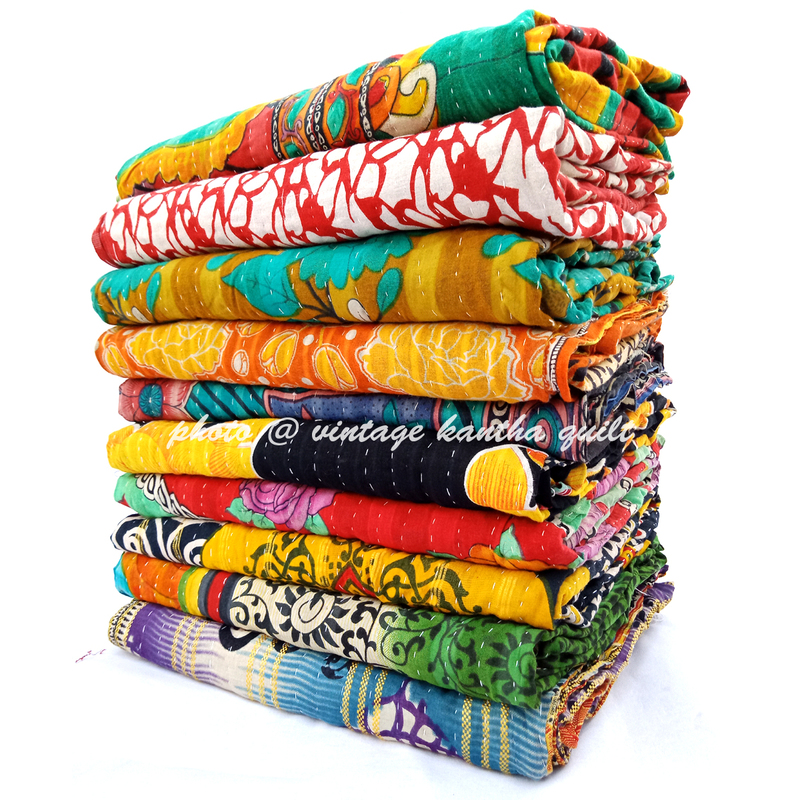 Kindly contact us to expedite your order.We provide FREE SHIPPING on all US and UK orders. COMBINE SHIPPING: We provide combine shipping on bulk orders. Kindly write us so we can club your order and provide you combine shipping.